The Montgomery County prosecutor asked a judge to release a mother from a psychiatric hospital so she can lead police to the location of her two children, who have been missing since early September. WASHINGTON – The Montgomery County prosecutor asked a judge to release a 27-year-old mother from a psychiatric hospital so she can lead police to the location of her two children, who have been missing since early September. Montgomery County State’s Attorney John McCarthy asked a judge to release Catherine Hoggle during a hearing Thursday saying that Hoggle told her husband and mother she would show police where the children are located. McCarthy told the judge he felt “duty-bound” in the interest of public safety and the safety of the two children, to make the request of the court. But Judge Eugene Wolfe wasn’t convinced and denied that request citing Hoggle’s mental competency and ordered her to remain held without bond at the Clifton T. Perkins Hospital Center in Jessup, Maryland. Wolfe also denied a request from Hoggle’s defense attorney to drop the charges against her and instead set a trial date for Jan. 5. Hoggle is charged with obstruction, two counts of child neglect and two counts of parental abduction in the disappearance of her children, 2-year-old Jacob Hoggle and 3-year-old Sarah Hoggle. Their mother entered the courtroom with her hands cuffed behind her back and dressed in a navy cardigan. She appeared slightly disheveled but her gaze was steady and her quiet voice was clear when answering the judge. She told the judge that she didn’t completely understand why she was in court. Hoggle’s defense attorney argued in court that she is not competent to make any statements to investigators or help them locate the children. She continues to insist that Jacob and Sarah are alive and well. But investigators believe the children are dead and are actively working a homicide investigation, McCarthy says. In court, McCarthy told the judge to expect an indictment that would supersede the charges currently filed against Hoggle. The Clarksburg mother was arrested several days after her children disappeared over the course of two days beginning Sept. 7. Troy Turner, the children’s father and Hoggle’s common law husband, has continued to maintain hope that his children are still alive. He attended the hearing Thursday. “I’m not having conversations about how she’s doing, I don’t care how she’s doing. I want my kids, that’s it,” Turner says. The children have yet to be located. Volunteers gathered for days and weeks to comb playgrounds and parks in the Clarksburg and Darnestown areas looking for any sign of Sarah and Jacob. The search was quickly overshadowed by another missing person’s case: Hannah Graham. 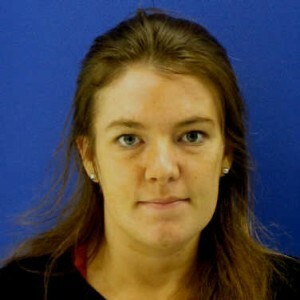 The University of Virginia sophomore went missing several days later. McCarthy said investigators believed the Felsen was no longer serving as Hoggle’s attorney at the time and therefore didn’t need to contact her counselor. Judge Wolf ordered police not to contact Hoggle without going through her attorneys first. Hoggle had already exercised her right not to be questioned without her attorney present. Ryan reported from Rockville, Maryland. Follow @WTOP on Twitter and on Facebook. Montgomery County police are looking for 3-year-old Sarah Hoggle and 2-year-old Jacob Hoggle.